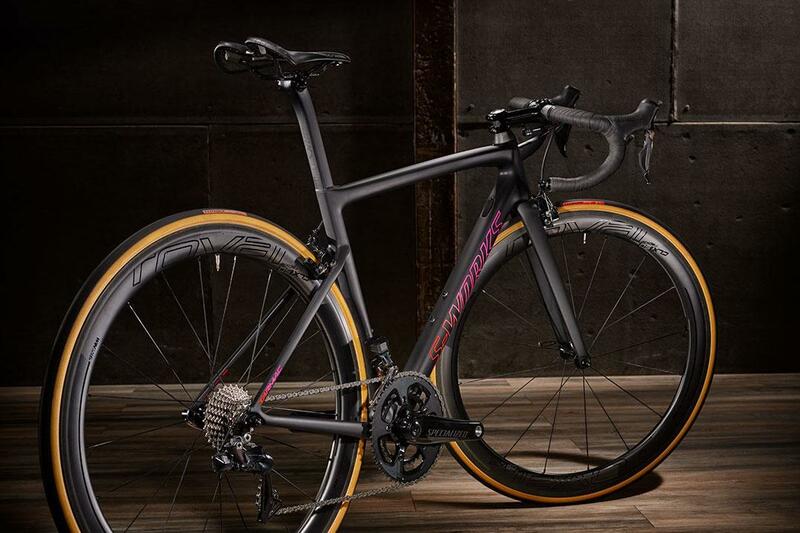 Specialized has unveiled a new version of its long-running Tarmac, and the headline news is a radically redesigned frame that weighs just 733g and is more aero and comfortable than the old model. Here's everything you need to know about the US company's brand new bike. The biggest news with the new Tarmac is the 733g frame weight. 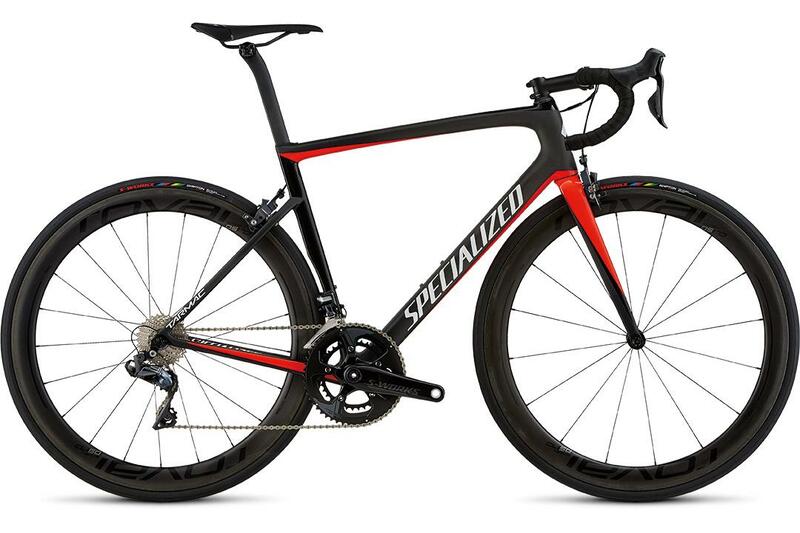 In this day and age of ever smaller marginal gains, Specialized has managed to lop a whopping 200g off the Tarmac. That's impressive, but there are already a good number of sub-800g frames you could spend your money on, but it's good to see Specialized throw its hat into the ring. It has achieved this dramatic weight loss by working with McLaren and refining the carbon layup, increasing the number of individual pieces of carbon from 350 to 500 pieces. 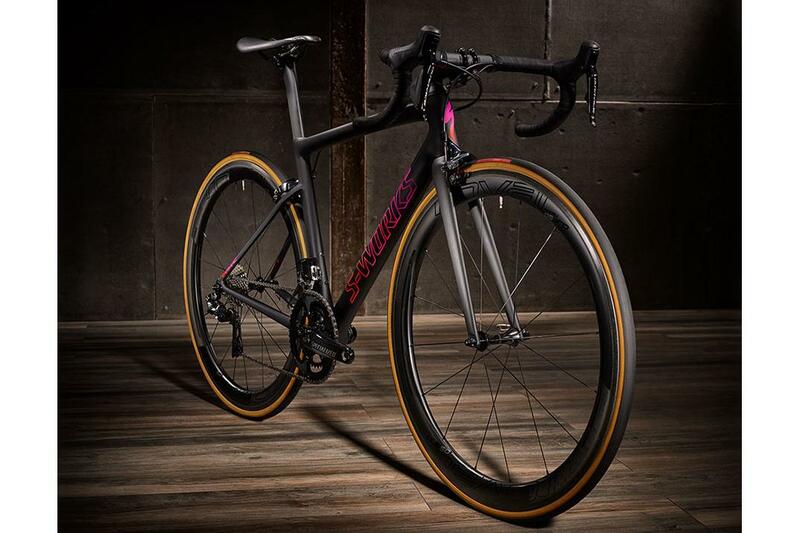 It claims 733g for a size 56cm, so it's at least up there with the lightest production frames on the market, such as the Cannondale SuperSix Evo Hi-Mod. There's even a focus on weight reduction in the finish, with a limited edition Ultralight version of the Tarmac using 10g paint finish to keep the weight as low as possible. It is only available in black though. Weight hasn't been the only focus for the new bike. 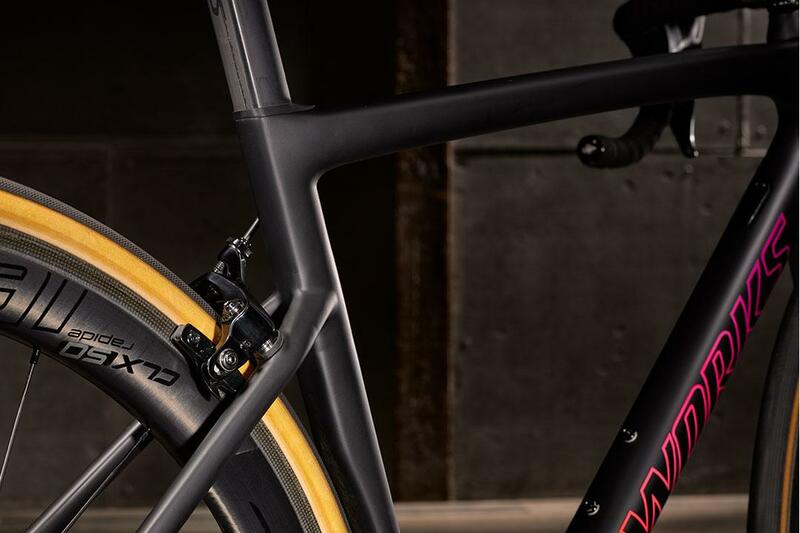 It's pretty easy to make a light frame, but Specialized has also focused its attention on improving the aerodynamics, adding aero where it can without compromising the weight, stiffness or compliance of the new Tarmac. Those dropped seatstays are borrowed from the Venge ViAS and there's a new D-shaped seat tube, seat post and rounded down tube, all helping to reduce drag. Handling has been another focus for the new Tarmac, and to ensure the right stiffness and handling across the size range, Specialized is using three different forks that differ in the steerer tube taper. Specialized is also using direct mount brakes, which increases tyre clearance to a very generous 30mm, and also drops the fork crown height to reduce the frontal surface area. Specialized has only shown the rim brake Tarmac so far, but we expect there to be a disc brake version being announced later this summer. Comfort has benefited from the changes to the frame design. Those dropped seatstays, as well as being more aero, also allows the seatpost more opportunity to flex under load. The seat clamp is hidden inside the top tube and the seatpost has been designed in such a way that the top half can deflect in one direction, aiding seated comfort. Specialized takes a new approach for its men's and women's bikes, based on feedback from its professional athletes and data from Retul. So instead of women's specific bikes as before, the Tarmac Women's bikes are identical to the men's in terms of geometry, the only difference is the paint finish and the contact points, like saddles and handlebars. It's a shared platform. The new Tarmac is going to be available in August with a wide range of builds priced from £3,500 up to £9,500 for the S-Works Ultralight, and there'll be four frameset options starting from £3,250. 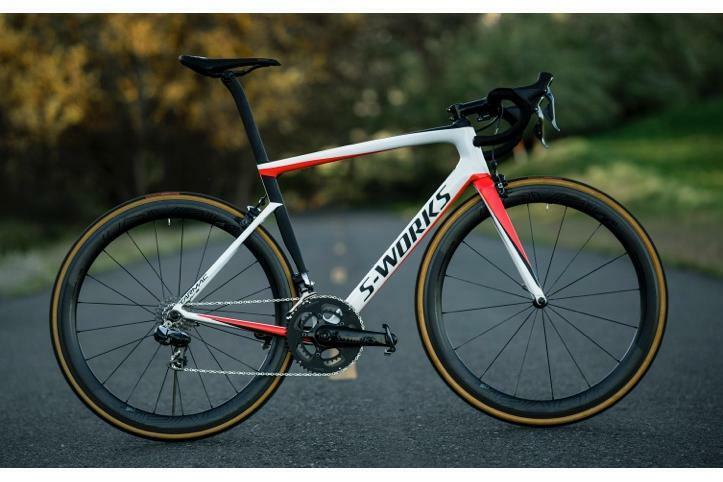 There's a lot of change to the new Tarmac, and a lot at stake for Specialized because this is a popular bike, but there is a lot of competition in this class and at this price, you have many options available to you. We look forward to taking a closer look at the new Tarmac when we can get our hands on one to see if the changes result in an improved ride.